Window Dressing is a key practice of Visual Merchandising and commonly occurs in Retail spaces such as stores. Its purpose is to attract, engage and invite customers inside the store in order to motivate purchasing. 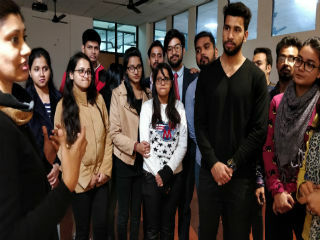 To create a stimulating learning experience through practical setup, a workshop on “Store Opening throough window dressing” was organised for PGDM-Retail Management students batch(2017-19). 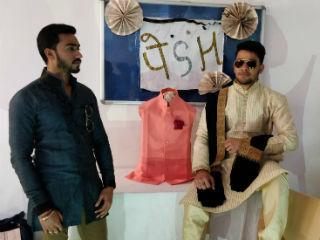 The groups created window displays of a Cosmetic store, Pharmacy, Ethnic wear, Casual wear and a Jewellery store. 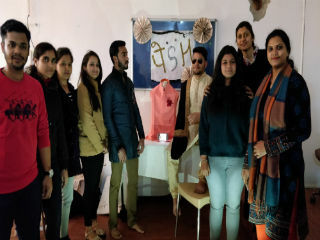 With the help of Newspapers, chart papers and selected merchandise, the students created a story for the window design using a combination of lights,colours, props, naming the store (Branding) and even became Live Mannequins. Overall it was an enriching experience for all students. 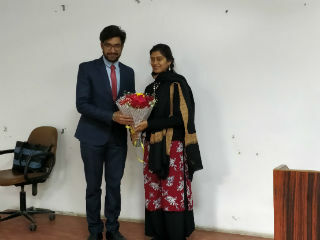 The focus was on understanding the concepts and linking the classroom teaching, the theoretical aspects with practical exposure. The students come up with innovative ideas to acheive the common goal of the workshop.